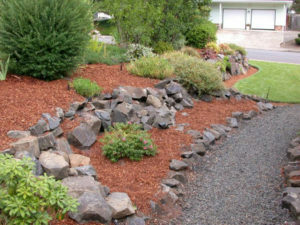 $.11/lb or $215/ton – Crushed quarry rocks in a variety of sizes for rock gardens, flowerbed borders, and more. 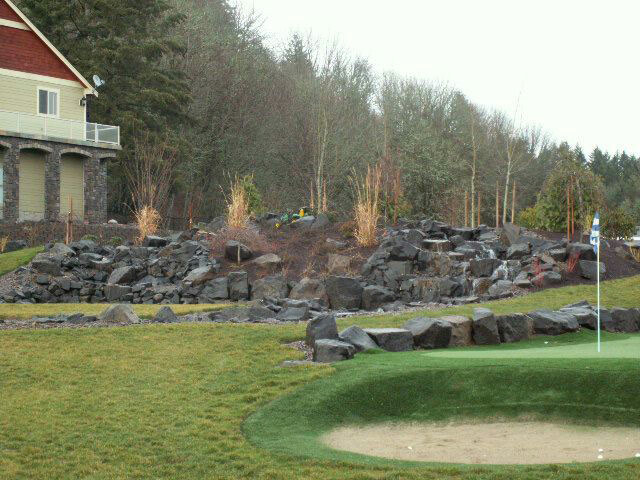 $.11/lb or $215/ton – Larger crushed quarry rocks for rock walls, borders, embankments, and large hardscapes. 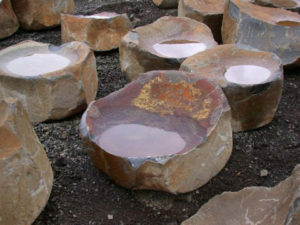 $.20/lb or $395/ton – Also known as “dish rocks”, they have a variety of uses, including birdbaths, fountains, outdoor seating, etc. 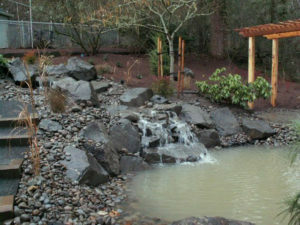 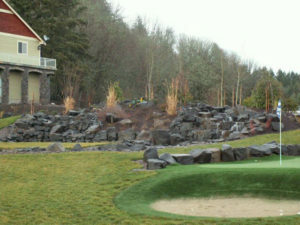 $.20/lb or $395/ton – A result of the cooling process of lava, these natural phenomena make for impressive landscape décor. 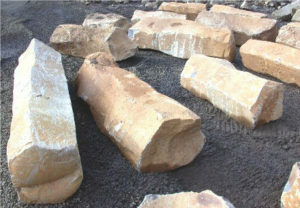 $.11/lb or $215/ton – Flatter rocks and boulders for stacking around ponds and other focal points.